Home / Blog / Cinnamon & Citrus. Coffee too! Quick Tricks to Avoid An Ant Invasion. Spring has officially sprung and with it comes lots of things we love — like sunshine and flowers and lots of picnics. But let’s be honest — even Spring has a downside. It’s also ant season. And for many of you, that means ants in your yard, at your outdoor events and even in your homes. 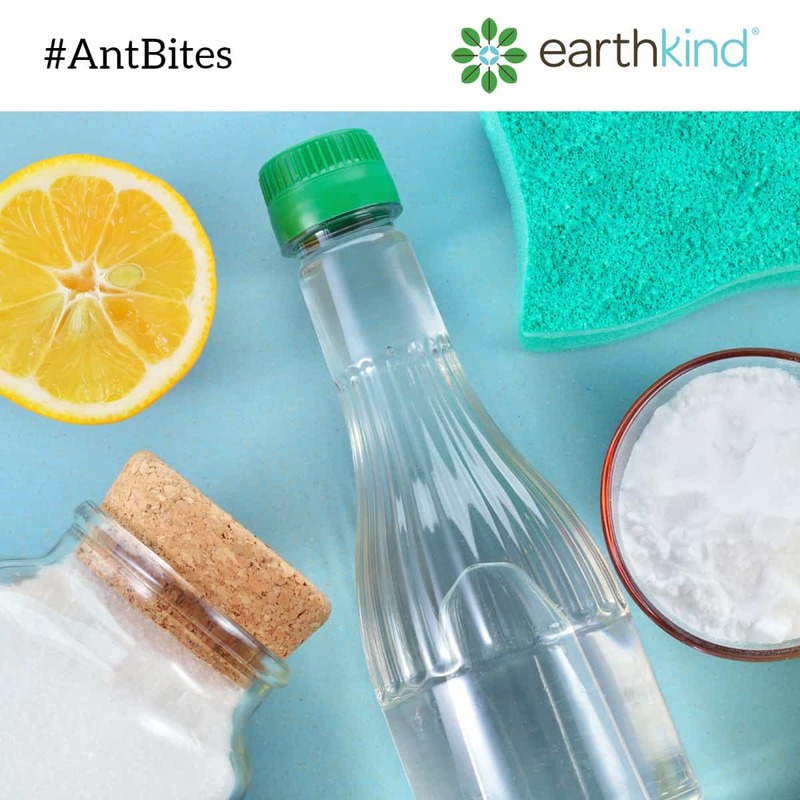 Here at EarthKind, we’re all about the natural solutions — so much so, we even created a product that’s made with essential oils — guaranteed to send ants marching in a different direction. But we also know that sometimes you need a quick fix, so we’ve been sharing what we call “kitchen cupboard solutions” on our Facebook wall over the last few weeks. 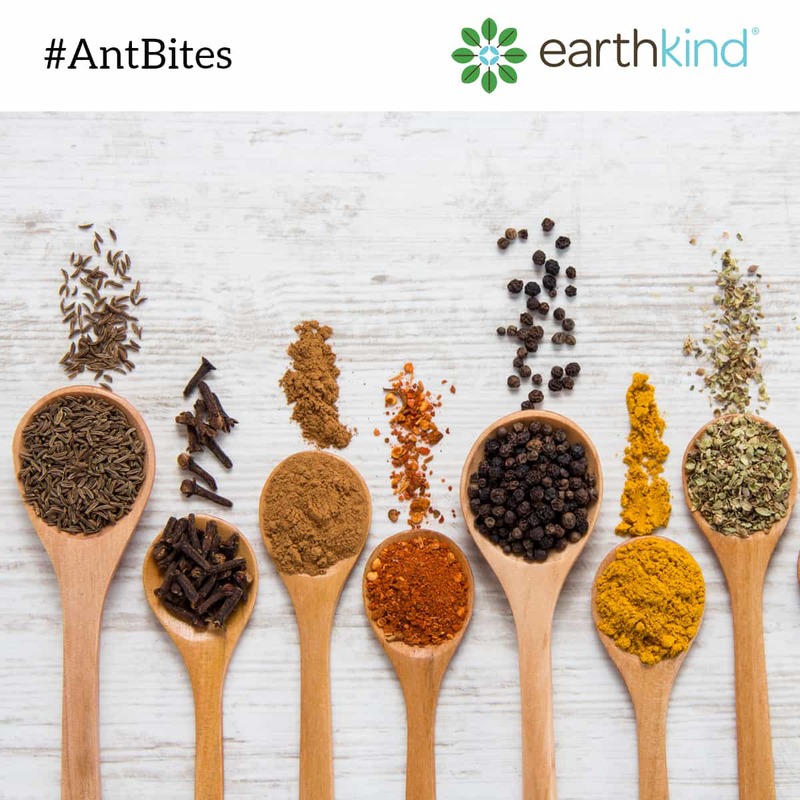 Just in case you’ve missed any of our #AntBites, we thought we’d gather them all right here for easy access. Keep watching our Facebook page, because we’re not done yet. June brings even more uninvited guests — so next up — #SpiderBites! Moisture is an ant’s best friend. April showers bring May flowers — but they also bring out ants. Sprinkle cinnamon on surfaces where you’ve seen ants congregate in your home. 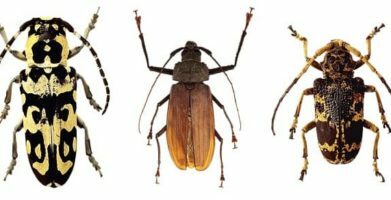 The domestic spice acts as a dermal irritant to the tiny insects and they’ll be working their way towards sweeter surroundings. Be sure to seal up any cracks that ants can crawl through with caulking from your local hardware store. Extra bonus: better temperature control and lower energy bills! 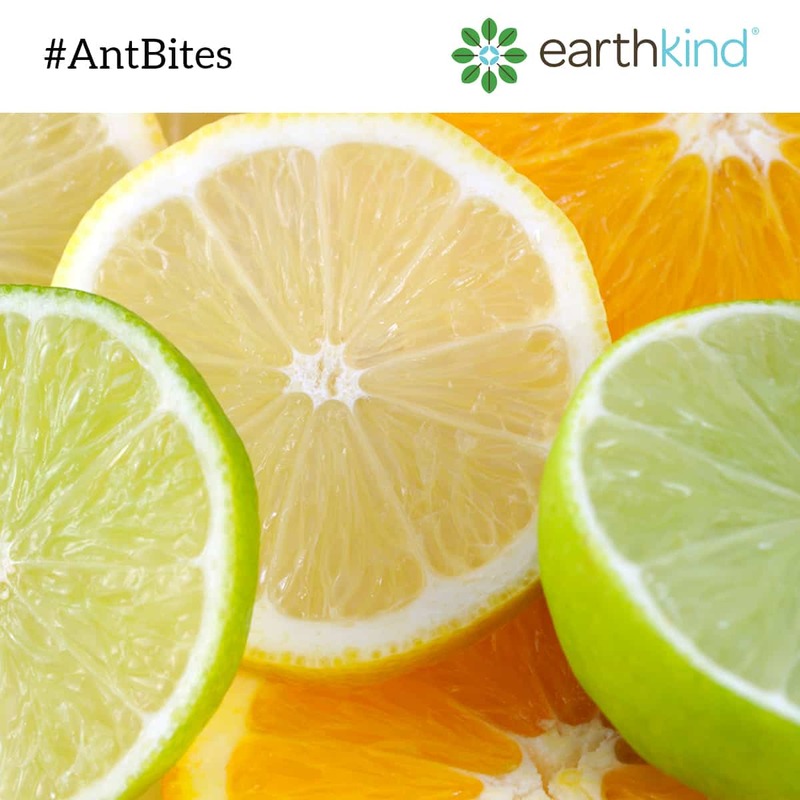 Fresh citrus peels are toxic to the fungi that ants feed on. 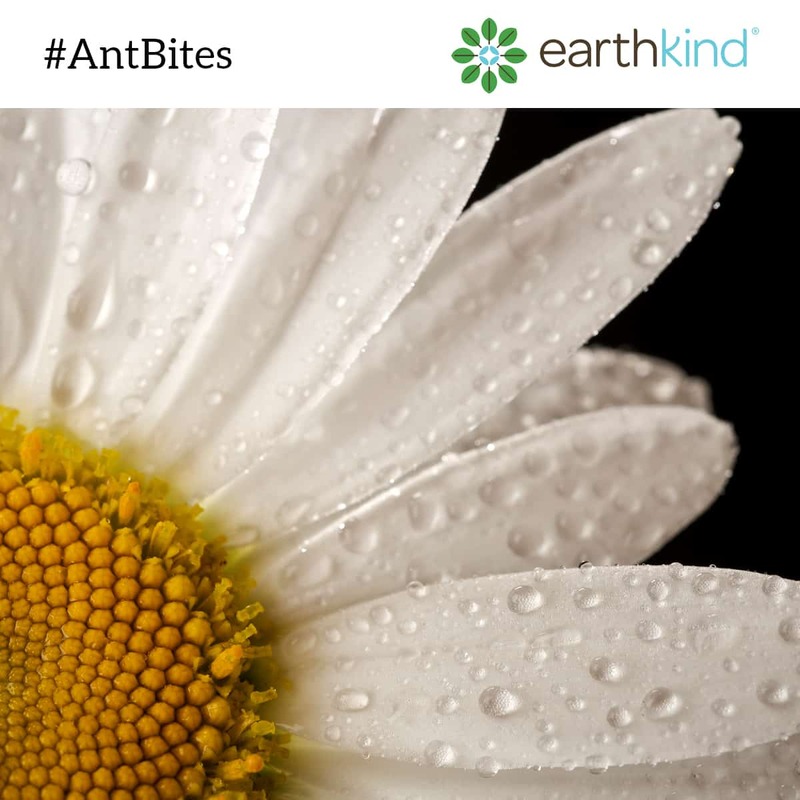 Spread them around the areas where you see ants meeting up and they’ll be looking for a new place to congregate. Block their entryway with a thin line of chalk or baby powder. Talcum powder is a natural ant repellent. If you’ve spotted ants in your kitchen, spray down your countertops with vinegar. It will clear the scent trail they use to get around and convince them to find a sweeter smelling home. 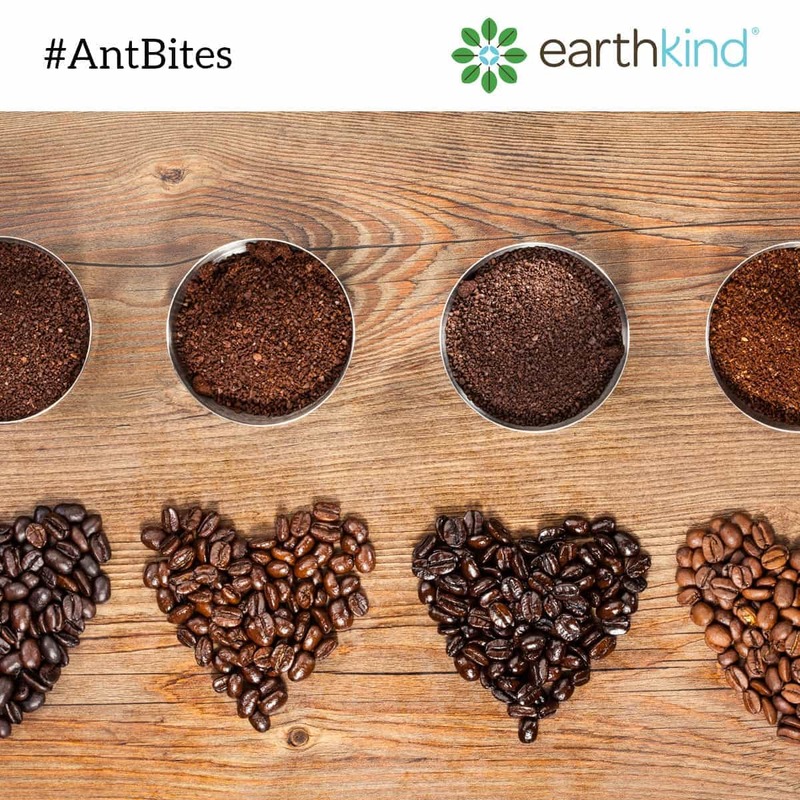 To deter ants, sprinkle coffee grounds outside and around your garden. The smell repels them and they’ll be looking for a less caffeinated place to hang out. 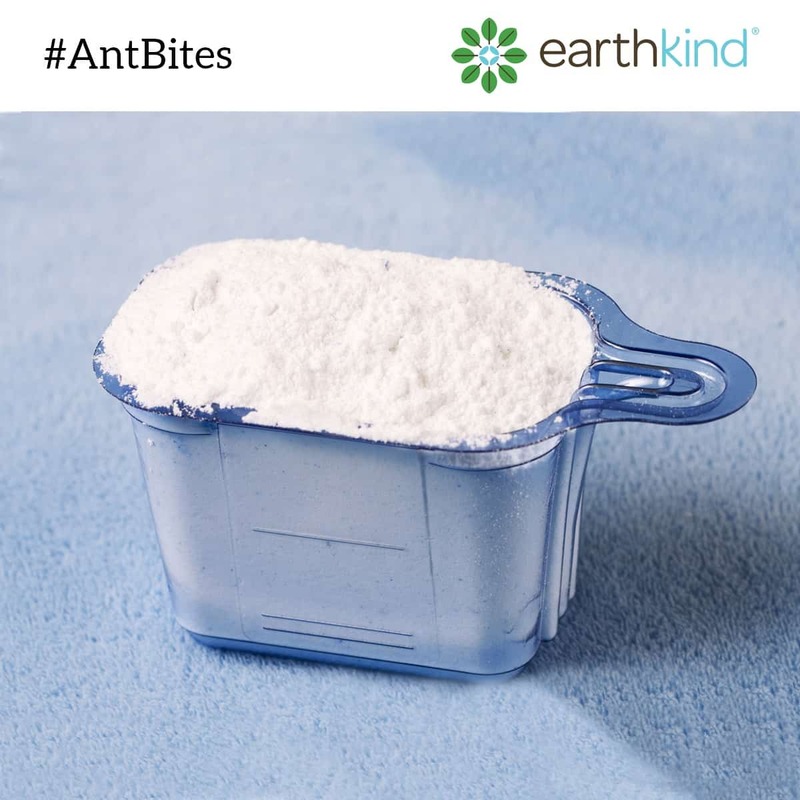 Put a thin line of dry laundry soap around baseboards, windows and other areas where you see ants beginning to gather. The scent of detergent will turn them away. It’s too much for their tiny bodies. The scent of lemon makes your house smell fresh and clean, but there’s an added bonus you may not be aware of. The citrus smell will throw ants off course. Wipe your countertops down with a mixture of water and lemon juice and their scent trail will be compromised. They’ll be on their way to greener pastures. 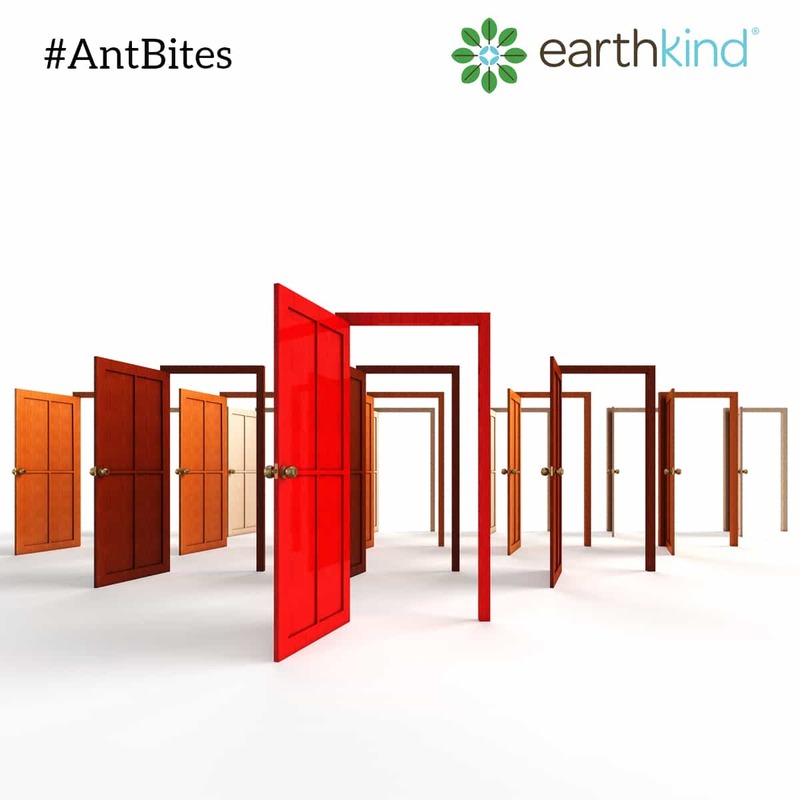 For a long-term solution, be sure to check out Stay Away® Ants — EarthKind’s, guaranteed effective, natural pest protection. And for those of you who have a problem with spiders, we’ve got a natural solution for you as well — Stay Away® Spiders. Spring has officially sprung and with it comes lots of things we love -- like sunshine and flowers and lots of picnics. But let’s be honest -- even Spring has a downside. It’s also ant season. And for many of you, that means ants in your yard, at your outdoor events and even in your homes. 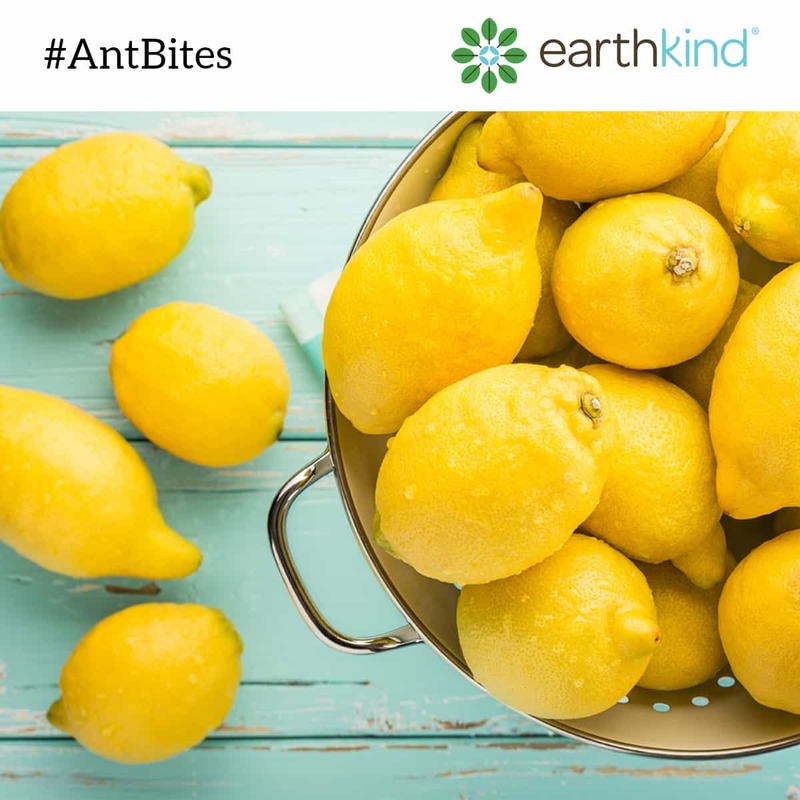 Here at EarthKind, we’re all about the natural solutions -- so much so, we even created a product that’s made with essential oils -- guaranteed to send ants marching in a different direction. But we also know that sometimes you need a quick fix, so we’ve been sharing what we call “kitchen cupboard solutions” on our Facebook wall over the last few weeks. Just in case you’ve missed any of our #AntBites, we thought we’d gather them all right here for easy access. Keep watching our Facebook page, because we’re not done yet. 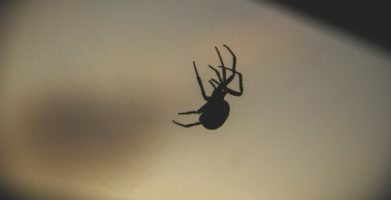 June brings even more uninvited guests -- so next up -- #SpiderBites! April showers bring May flowers -- but they also bring out ants. The domestic spice acts as a dermal irritant to the tiny insects and they’ll be working their way towards sweeter surroundings. 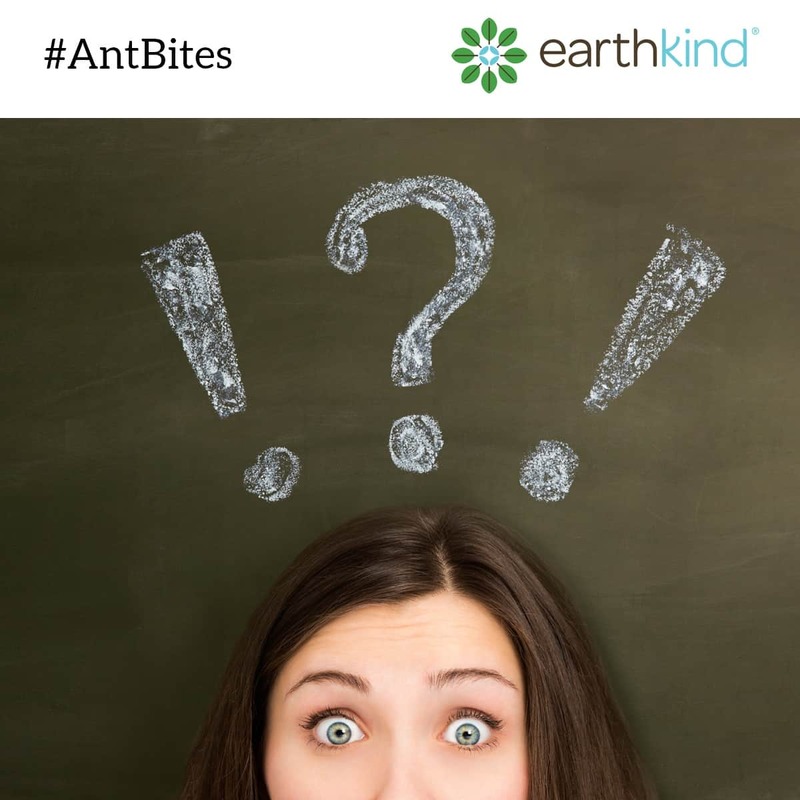 For a long-term solution, be sure to check out Stay Away® Ants -- EarthKind's, guaranteed effective, natural pest protection. And for those of you who have a problem with spiders, we’ve got a natural solution for you as well -- Stay Away® Spiders. string(73) "Cinnamon & Citrus. Coffee too! Quick Tricks to Avoid An Ant Invasion."